I have been absent for quite sometime. In September 2015 I started my Theology studies and then in January 2016 I started my own business as a Web Designer to fund my studies. During this time I didn't have much time to write devotions or speak at conferences but I really miss it. During 2016 through running my business I had the opportunity to connect with many women all over the world through on-line business support groups. One recurring theme that I've noticed is the feeling of never having enough time to do all the things we want to do, no surprise there! We're all so busy and the one thing that nearly always get's pushed aside is time with God. My one word for 2017 is UNSHAKEN and I believe it possible to live so that we will not be shaken by committing to spending time with God. That's what I want to do and I want to help you do that too. So I'm stepping out in faith and starting online devotions. 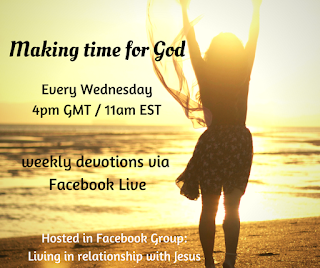 I will do them as a weekly live video through my Facebook group Living in relationship with Jesus. It will be a place to take time out of our busy week to focus on God. Where we can share safely and be accountable to one another. I won't be there alone, I'm happy to introduce a wonderful woman of God Laura Starner. You will see Laura around the group answering questions and sharing inspiration. I encourage you to check out Laura's Journey of Hope. She is a real inspiration and I feel really blessed that God has placed her beside me in this journey. I have already done my first (practice!) 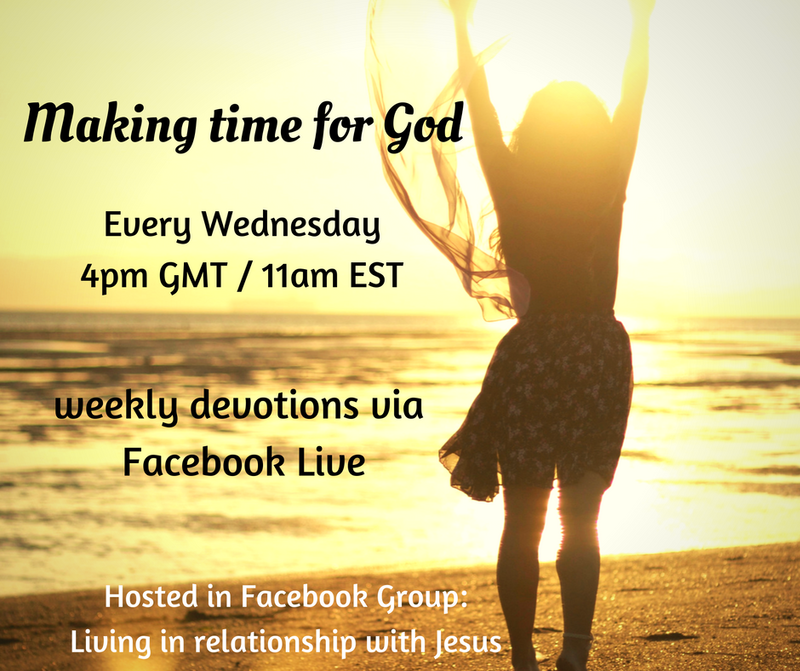 live video before we officially start devotions on Wednesday 11th Jan 4pm GMT / 11am EST. I will then be live online every Wednesday at the same time. I don't want to make time with God a chore so there will be no continuing theme, if you can't make it one week you won't fall behind. There will be no homework and only as much study beforehand as you want to do. I will be jumping on live again this coming Monday 9th (same time) to talk more about that. Videos will remain available online so you can always catch up. Why not head on over to the group, request to join and commit to making time for God in 2017. I'm excited to get started and look forward to seeing you there.